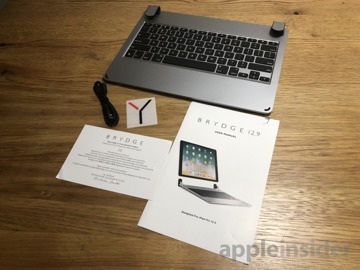 iPad users who want their tablet to feel and function like a MacBook have a brand new option in town with the release of the Brydge Mk II. 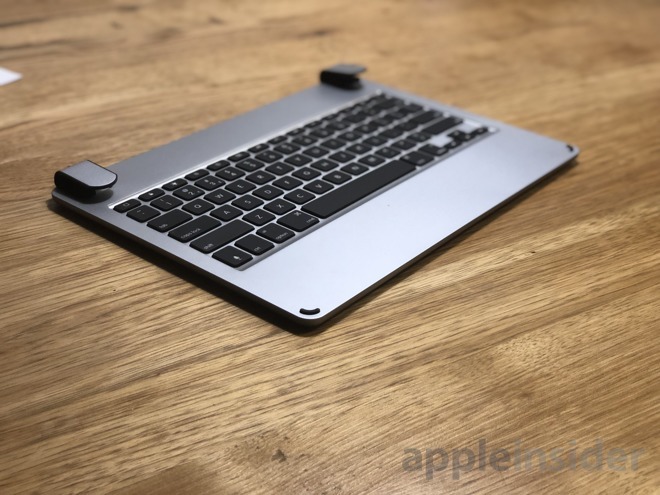 With Bluetooth 4.1 and iOS battery management technology, this premium keyboard boasts whopping battery life of up to one year on a single charge. Brydge's latest hardware revision adds Bluetooth 4.1 support, which should result in faster pairing with the iPad, and reduced lag, going beyond the impressive battery improvements. 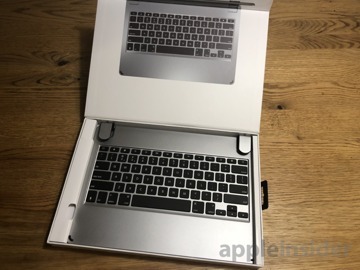 The design itself has also been revamped with lower-profile keys, featuring just 1.5 millimeters of travel. 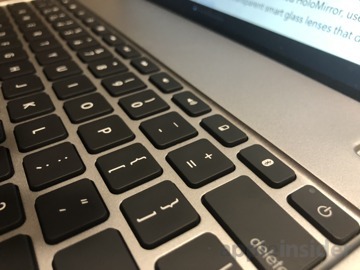 And the backlights on the keys themselves have three levels of brightness with less light loss. 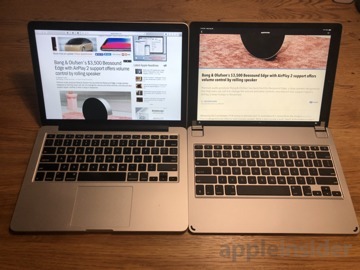 On your desk or in your lap, it really does look like a MacBook. 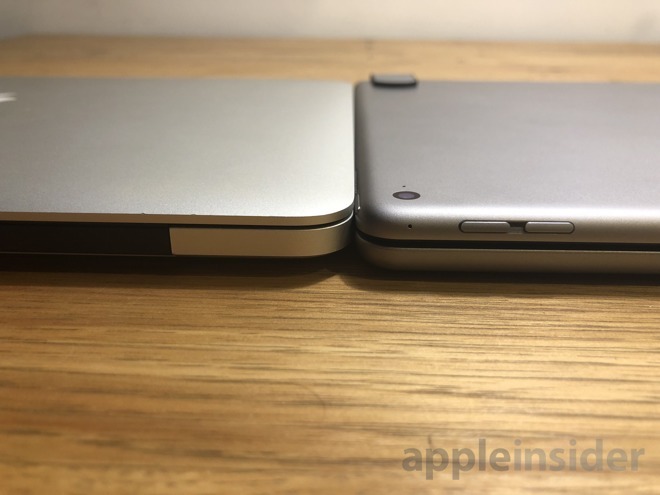 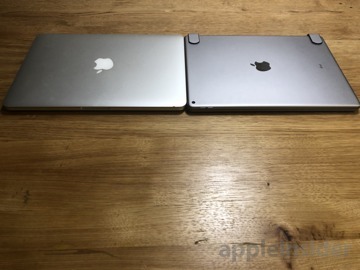 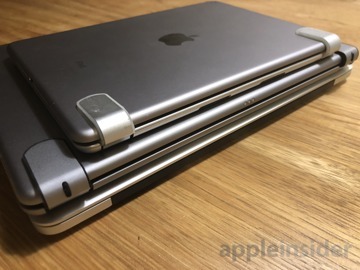 In fact, next to a 2014 13-inch MacBook Pro, the dimensions are so close that it's almost uncanny. 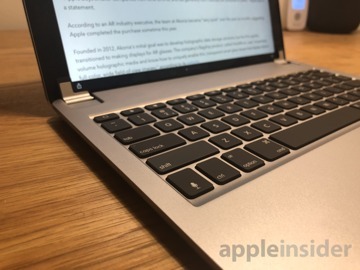 In fact, it does its job so well that the first thing we did upon using the Brydge was reach down to the space below the keyboard with our index finger, searching for a TrackPad. 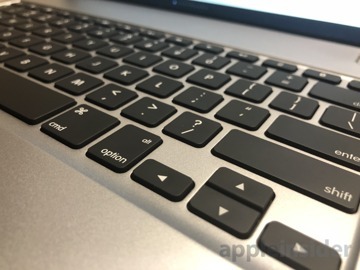 Alas, it does not have one, and there is no traditional cursor support in iOS. 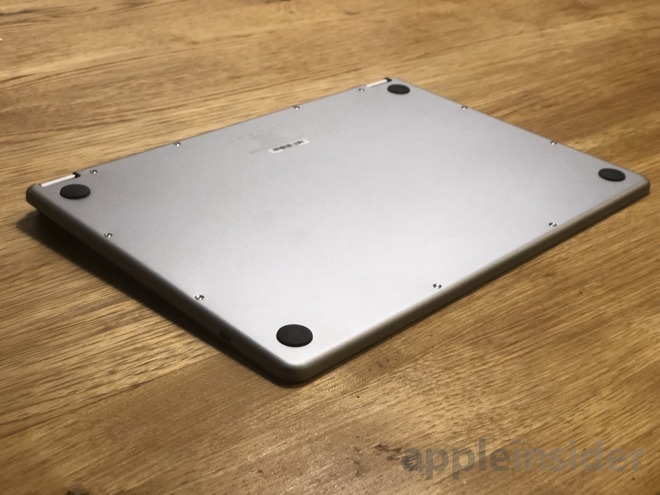 In order to match the footprint of the iPad Pro, and to have the proper heft for lap use just as you'd use a traditional MacBook, the latest Brydge does — once again — add noticeable heft to the iPad package. 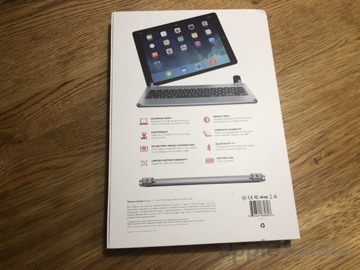 However, the Brydge compensates for this by having the iPad itself be easily removable, unencumbered by a case that encloses and holds the iPad itself. 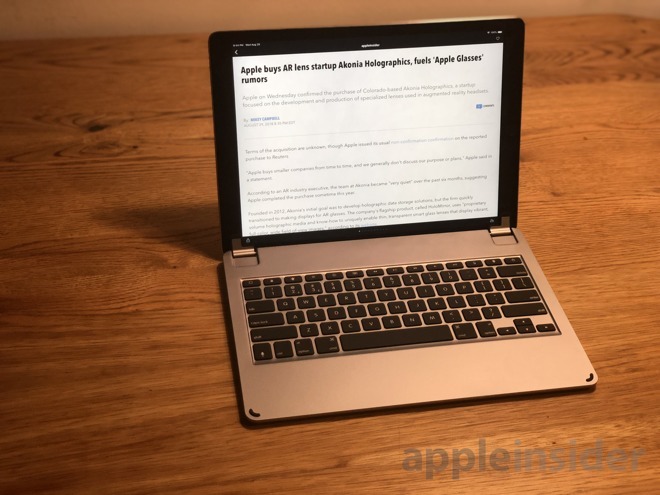 In all, it's a minor improvement from the previous iPad Pro keyboard, meaning it's probably not a necessary upgrade for those who already own a Brydge for Apple's 12.9-inch iPad Pro. 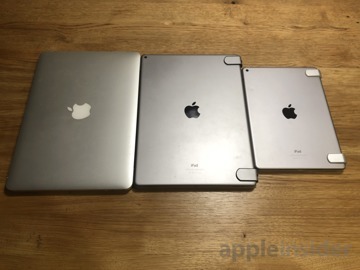 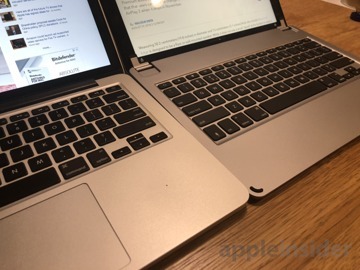 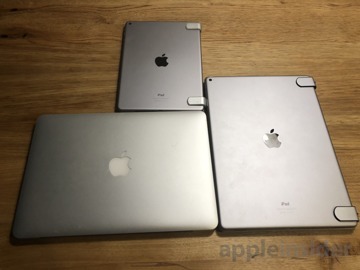 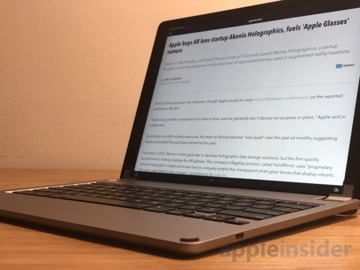 However, for those in the market for a MacBook-style keyboard for Apple's jumbo-sized tablet, the recent hardware revamp could prove to be a good jumping on point. 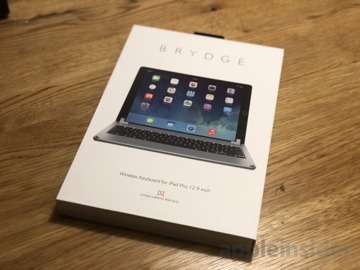 The Brydge 12.9 Series II is priced at $149.99 and comes in Space Gray or Silver. 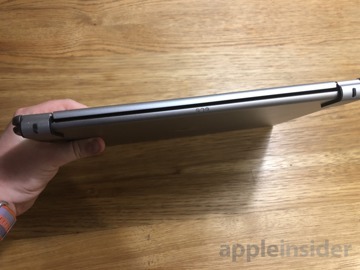 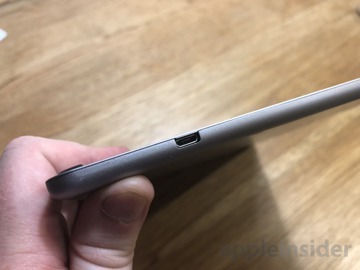 AppleInsider will have much more in our full review.